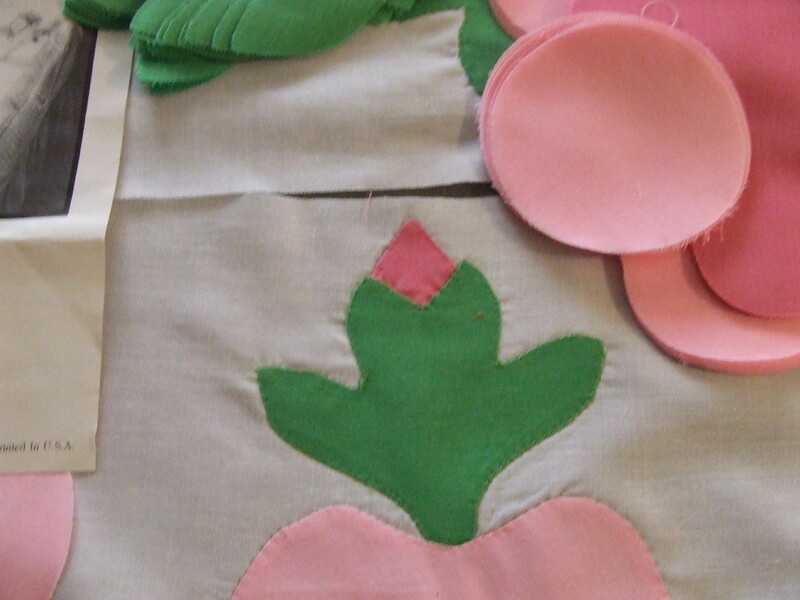 This entry was posted in Garden and tagged Applique, poly blend, quilt, Quilting. I’ve wondered about those kits that one sometimes sees! 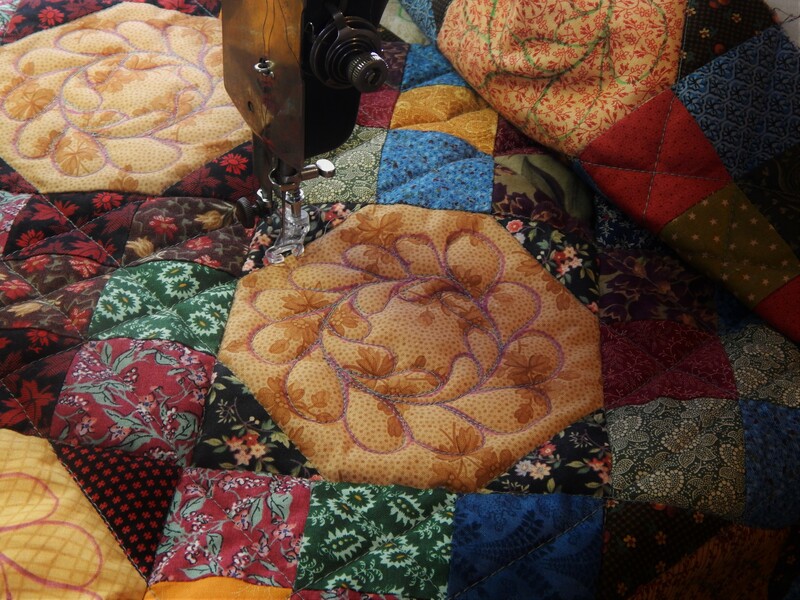 Makes you really appreciate the work that was done making those quilts. 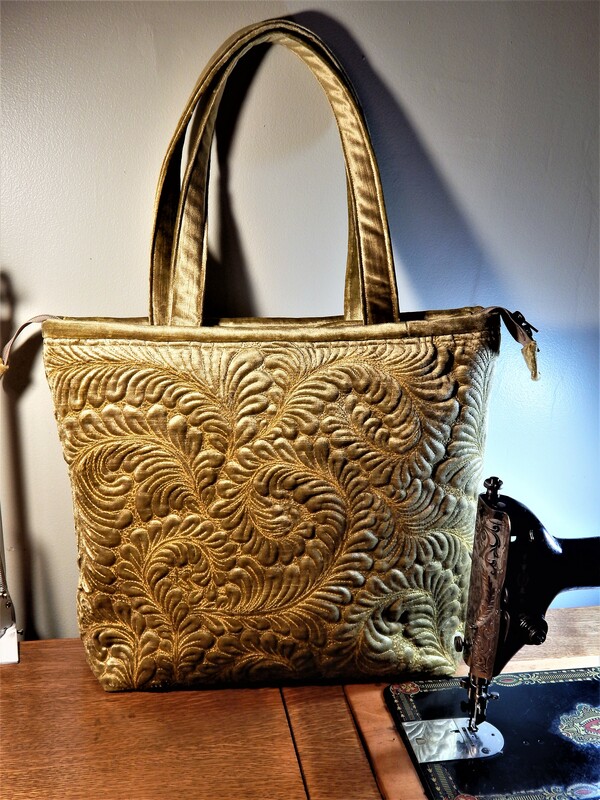 It sure makes me admire anyone who has made one!….they sure must have been good! Your story brought back to a memory of a Hawaiian block applique class I took with Joyce Gross about 1981. 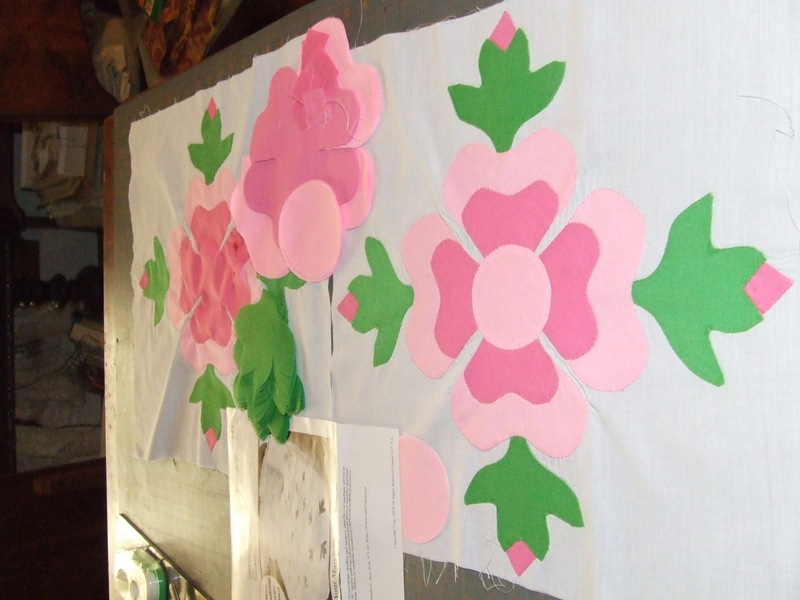 I was so new to quilting, I did not yet know the difference between cotton and poly-cotton. I just made my selection of fabric based on the colors I liked. Guess which I brought to class. Ugh. I never did finish even the one block. It just wasn’t worth all the time and frustration. 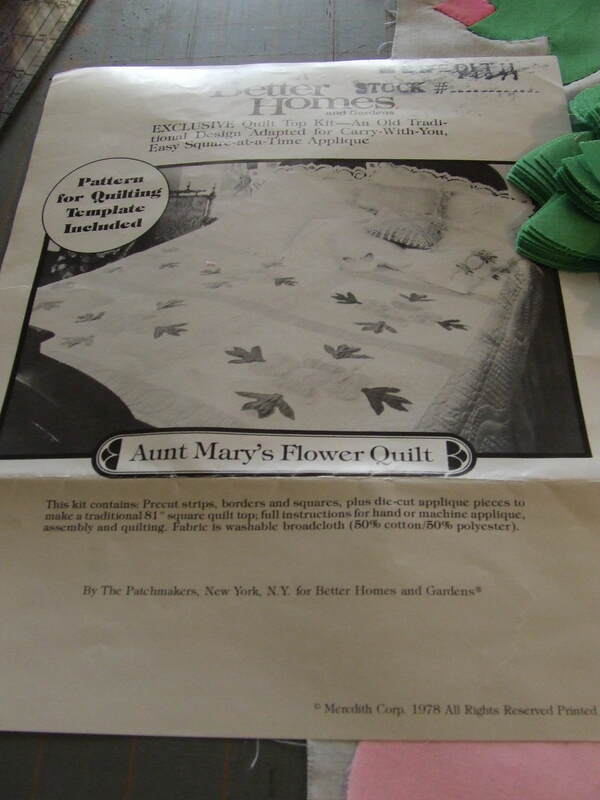 My recommendation, keep the kit as a reminder but put your time and talent into your 100% cotton quilts. 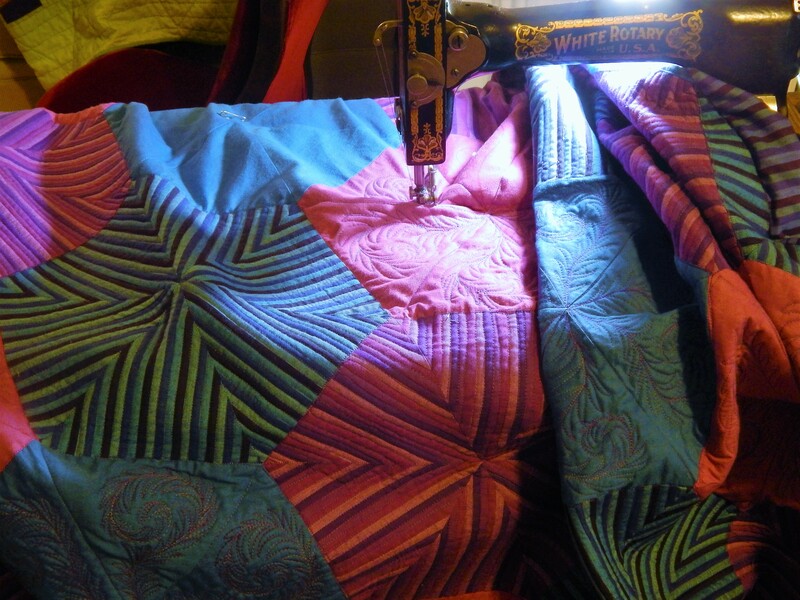 But of course, if you are a finisher by nature, you’re probably going to have a hard time giving yourself permission to quilt while you’re ahead. I remember working with poly-cotton. We didn’t know any better, and being from a rural area, that was all that we could get. 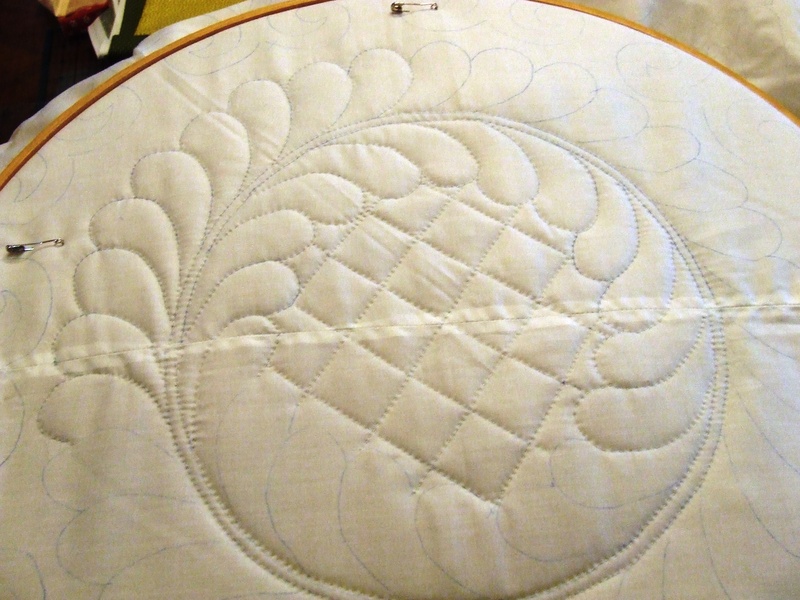 I always use poly thread on blends, and baste and baste. Work on something fun! We don’t need to make quilts to keep warm anymore! I think that basting is the only way to go with this thing….but as you say I don’t need it to stay warm so it is not worth the effort! I am so glad that I live in an area where I can buy good quality cotton fabric!! 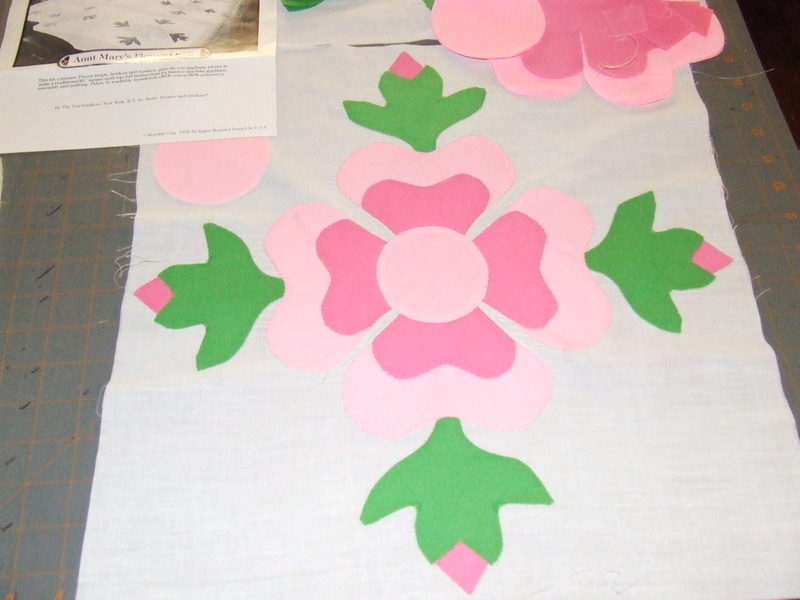 Would machine applique make this one any more enjoyable?